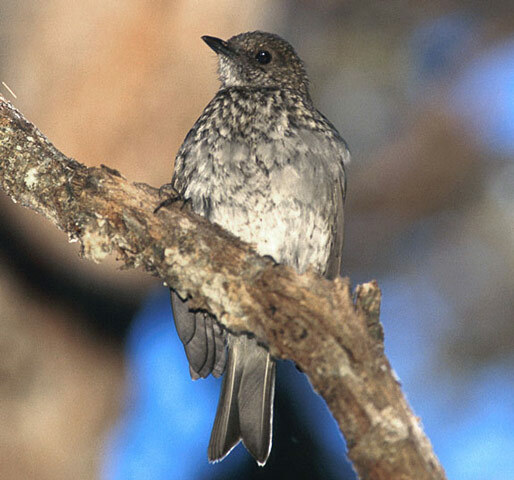 Oma'o: Most common of the Hawaiian thrushes, dark gray-brown above and pale gray below with brown edging on wings. Bill and legs are dark gray-black. 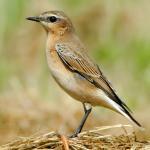 Has a curious habit of fluttering drooped wings similar to a young bird begging for food. Oma'o: Restricted to Hawaii and found primarily in the eastern and southeastern regions of the Big Island. 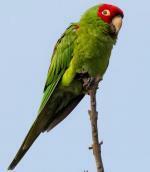 Its preferred habitat is rainforest, but sometimes found in savannahs and the high elevation scrub of Mauna Loa. 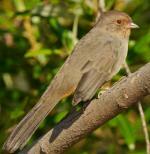 The Omao is also called the Hawaiian Thrush. It was first described by the German naturalist Gmelin in 1789. Their Hawaiian name may have derived phonetically from the sound of a call note, or it may be a variation of Amaui, shortened from Mana-a-Maui, the bird of the demigod Maui. This bird has a unique habit of frequently quivering its wings when perched. The Omao has a very small range that is limited to the island of Hawai’i within the Hawaiian Islands. 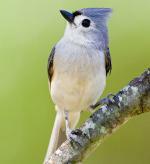 This bird prefers moist subtropical and tropical forest and shrubland ecosystems as well as dry savannas, and has been known to reside on plantations. The population of the bird has not been determined precisely but is thought to exceed late 1970’s estimates of around 170,000, partly due to the disease resistance of the species. While the Omao is plentiful in number, its limited range of habitat places it within the criteria for the IUCN Red List and it currently has an evaluation level of Vulnerable.